Please note that So Delicious discontinued their coconut milk line, which was my favorite. It is the little aseptic packages that you will see in the pictures of this post. They had unique packaging – most other brands of coconut milk and lite coconut milk are sold in cans. I’ve added references to other brands so that you can see the packaging you will be looking for. What you get in the cans should still look like the pictures, and all of the information regarding “what is coconut milk” still holds true! Although they phased out their coconut milk line, So Delicious still makes the coconut milk beverage pictured. I was reading the top food trend predictions for this year, and Whole Foods said coconut will continue to be “one of the hottest ingredients”. Which got me thinking about the number one misstep many of our readers tend to make. They often use the wrong type of “coconut milk” in dairy-free recipes. It’s an honest mistake, but can lead to a disappointing recipe fail. So I’ve created this quick guide to put proper names with details AND visuals. I hope it helps you to ace those recipes and make your own ingredient swaps with ease. 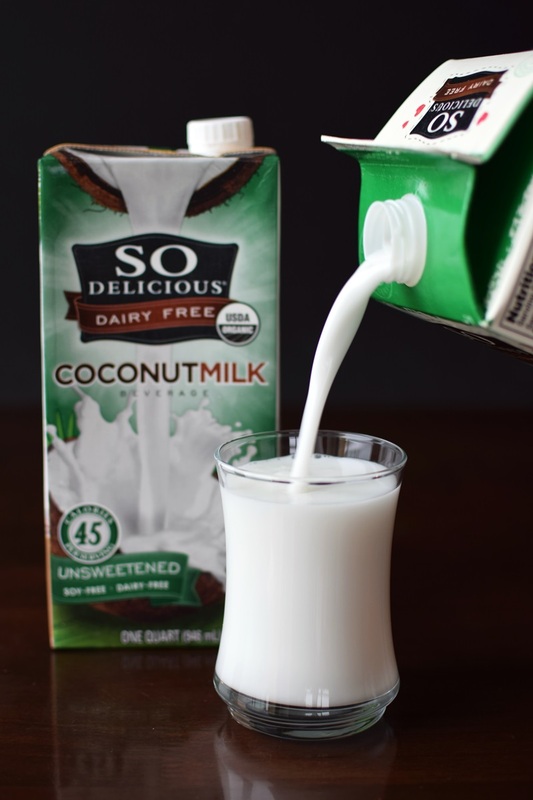 Special Note: You might see some food bloggers label coconut milk beverage as simply “coconut milk.” Please politely ask them to stop doing that, so we can all avoid confusion! Coconut milk beverage should (almost) never be used as a substitute for coconut milk. Consistency similar to 2% dairy milk. Sold in shelf-stable and refrigerated packages, in large quart of half-gallon sizes. 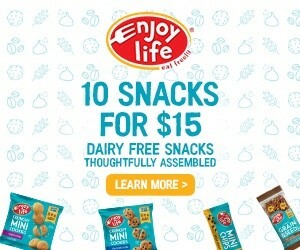 Usually found in the refrigerated “non-dairy” section or on the shelves in the cereal aisle of supermarkets. The shelf-stable versions can also be purchased online. Everyday multi-purpose uses for drinking, smoothies, and cereal. 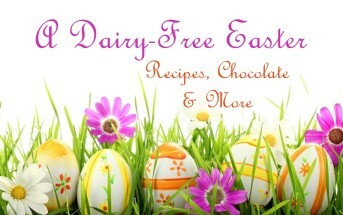 Can be used in place of dairy milk in most recipes, including baking and sauces. Available unsweetened, sweetened, and in flavors. Adds minimal coconut flavor to recipes. Should NOT be used when a recipe specifically calls for just “coconut milk”. It will not help to thicken, pies, fudge, whip, etc., on its own. Special Note: So Delicious discontinued their Lite Coconut Milk (they called it “Culinary”). Most other brands are sold in cans. You can click the image below, which is a popular brand. A thinner, lower fat version of traditional coconut milk. Thicker, creamier, and slightly higher in fat than coconut milk beverage. Sold in shelf-stable cans (the the uniquely packaged aseptic version pictured above has been discontinued). Usually sold in the Asian food section of supermarkets. It can also be purchased online. Not available sweetened or in flavors. Used frequently in Thai recipes. Can be used in place of light cream or half and half in most recipes. May add a hint of coconut flavor, depending on the recipe. Special Note: So Delicious discontinued their regular Coconut Milk (they called it “Culinary”). Most other brands are sold in cans. You can click the image below, which is a popular brand. This is “full-fat” regular coconut milk made from the grated meat of a mature coconut. 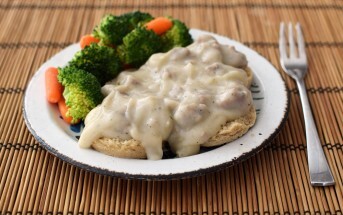 Has a thick, creamy consistency that doesn’t pour easily, unless heated. Can be used in place of heavy cream in most recipes. Traditionally used in Asian and Tropical cuisines for dishes like curry. Thickens further as it chills, so you must not substitute coconut milk beverage or lite coconut milk in recipes where coconut milk helps in “setting up” or when a very rich or thick consistency is desired. May add some coconut flavor, depending on the recipe. 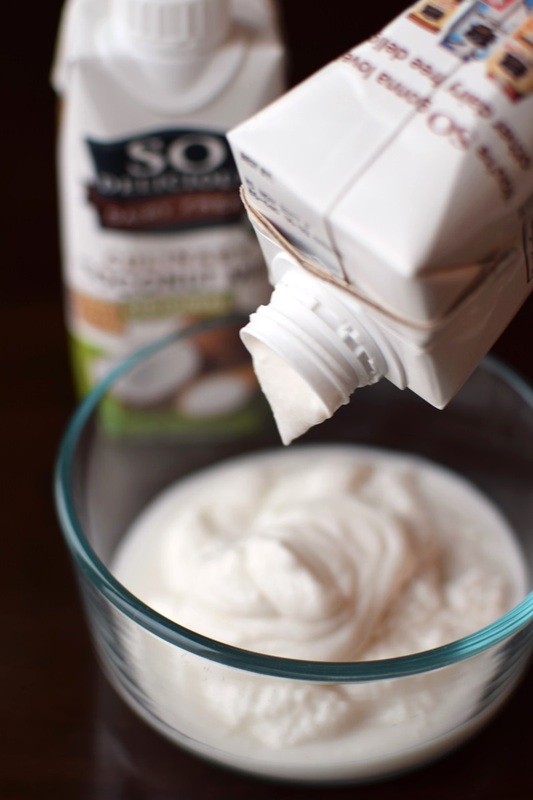 Special Notes: Good quality coconut milk should always separate and thicken to create a fair amount of coconut cream. You should get 1/2 cup to 1 cup of cream per package or can. If it doesn’t then it likely has too many additives or is a poor quality batch. I previously used So Delicious regular Coconut Milk (they called it “Culinary”) because it produced a lot of coconut cream. Most other brands of coconut milk are sold in cans, and you can buy coconut cream (pictured below), which is usually sold next to the coconut milk. Canned coconut cream still needs to be separated. Some brands are actually thinner than coconut milk! This is coconut milk with even more water removed to produce a thick cream. 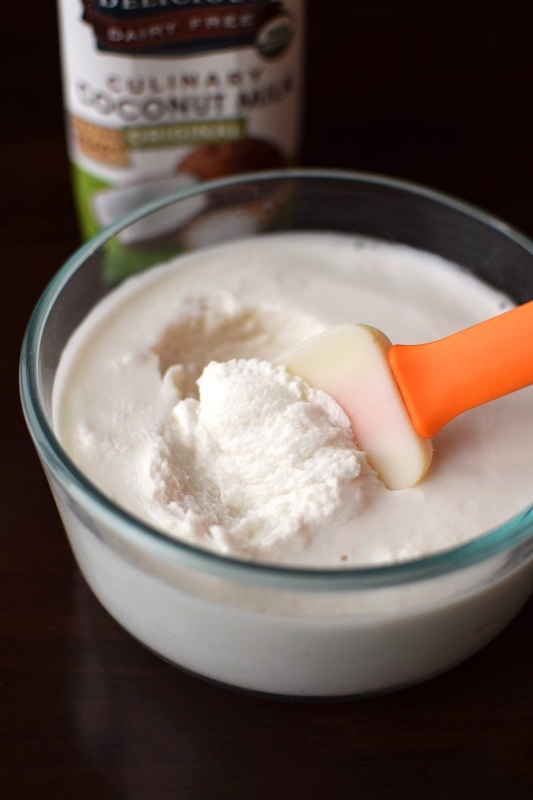 To make coconut cream, place canned coconut milk or coconut cream in the refrigerator overnight. Scoop the thick cream that forms from the top. Usually sold in shelf-stable cans (there are a few brands that sell coconut cream in small aseptic packages). It can also be purchased online. Can be used in place of whipping cream in most recipes. Also works well in chilled desserts that need to set up. Will most likely add some coconut flavor, but this still depends on the recipe. What is Coconut Milk? See it in Action! 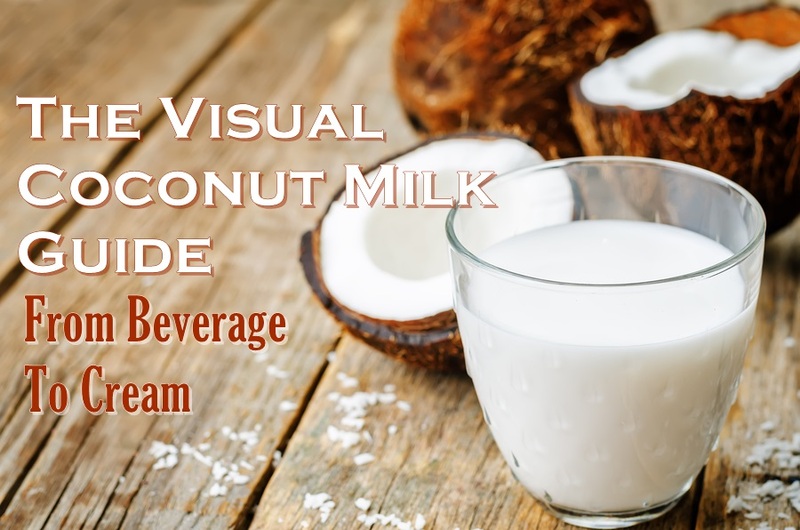 Understanding Coconut Milk: Beverage to Cream! What is Coconut Milk? Pin it to Share & Reference! This is so informative.I love coconut milk, but I’ve really given much thought about what it is! I love learning new food facts! 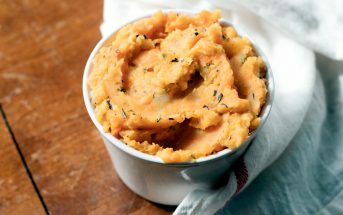 Yes, these days it’s a bit of a maze with that ingredient, but it is so wonderful! Happy to hear that you think it will be helpful Elizabeth! Loving the graphic that explains the differences! This is a very helpful post. Thanks for sharing! Thanks Elizabeth – I’m glad I hit the mark! This post has been in my head for a year, so it was great to finally put it together. I love knowing the difference between them all. Thank you so much! Such a great resource. You are so welcome Chrystal! Wow, Alisa! I had no idea there were so many varieties of coconut ‘milk’. 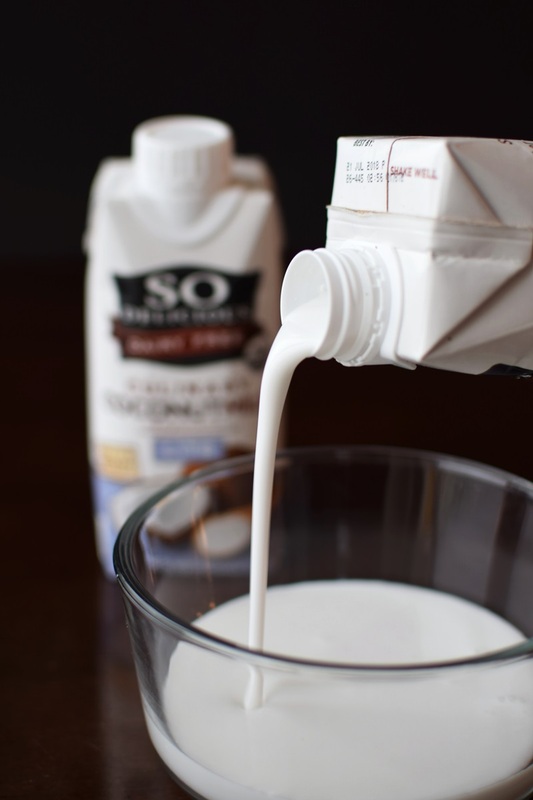 Totally guilty of using a generic coconut milk within my posts… I will stop. 😛 My favorite form is still pure coconut cream! Haha, thanks Laura! I am with you, coconut cream is the BEST! This is such a great post!! I too sometimes get confused about which product to try, but you’ve cleared up all my questions!! Thanks so much! Haha, yes! I always have to explain the differences! I bet! You use so many great whole food ingredients that I’m sure the coconut milk question hits your comments a lot Rebecca. You broke coconut down perfectly! I am saving this as a reference when I need it! I love all the bullet points you gave! Great post! That’s so great, and thanks Meg! 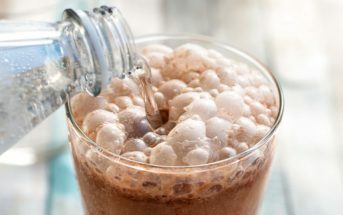 Such a great post with helpful information as it’s often a question that gets asked and there is such a difference when talking about coconut milk beverages and canned (or boxed, So Delicious Culinary Coconut Milk is my fav) coconut milk and cream. Such a useful guide. I always get questions about different kinds of coconut milk and it’s great to have a post to refer people to. Thank you for putting it together! Awesome! I hope it does help with your readers going forward Mel! I love coconut milk and this is a wonderful guide! It’s such a versatile and creamy milk! The creamiest! I don’t think most people realize that it rivals dairy cream! This is such an informative post! It’s easy to get confused with so many options! It really is! 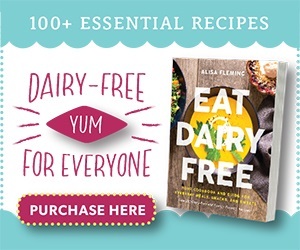 Definitely a top FAQ AND biggest mistake I see when people make dairy-free recipes. This guide is so thorough! I love using all types of coconut milk, and So Delicious’s products are tasty. This is such a great guide! So helpful! Thanks for putting it together! I think in the age of social media, pinnable is definitely a word 🙂 Thanks Sonali! What a great guide, Alisa! So helpful. 🙂 Sharing! Thank you! I hope it is immensely helpful! Love this Alisa! Such great info for those that don’t get the differences. I will definitely be sending readers your way when they have questions on this. Can’t wait to see all the other posts you have in store. This is really helpful info! I love using coconut milk in my recipes, but I know that it can sometimes confuse newbies. Newbies and even many who’ve been dairy-free for a while – surprising, but it just doesn’t always get clarified for people. Thanks Dianne! This is so handy! I get a lot of questions about type when I use coconut milk in a recipe, and this graphic really clarifies what each type is good for. Super helpful! I try to use the term “canned” coconut milk in my recipes to differentiate between the beverage and regular coconut milk, but still some people are confused. Definitely sharing this!